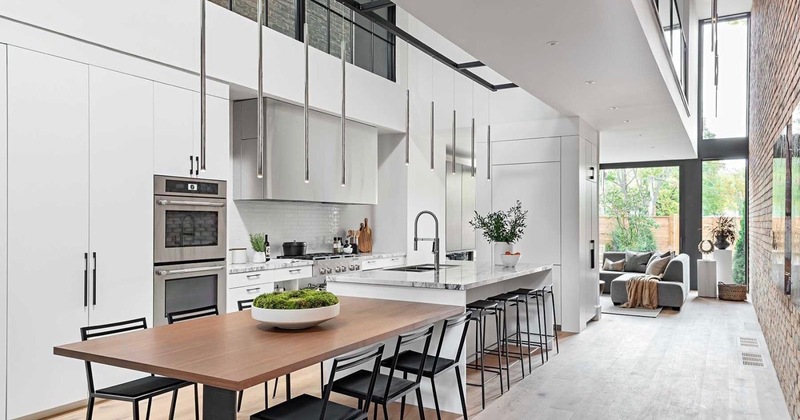 Take a look at 116 Sorauren Ave, a home designed by Toronto-based architect Nicholas Ancerl. 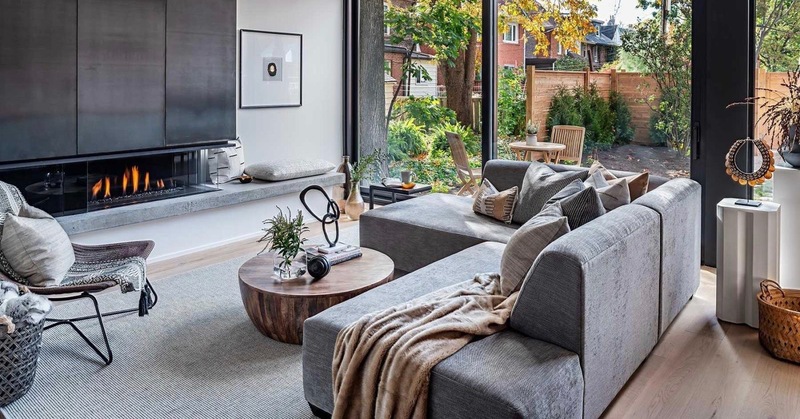 Designer Nicholas Ancerl conceptualized this Toronto residence as “The Urban Barn” - a home that mixes modern features with some rustic touches. Toronto-based architect Nicholas Ancerl, owner of Ancerl Studio, designed the residence 116 Sorauren Ave. 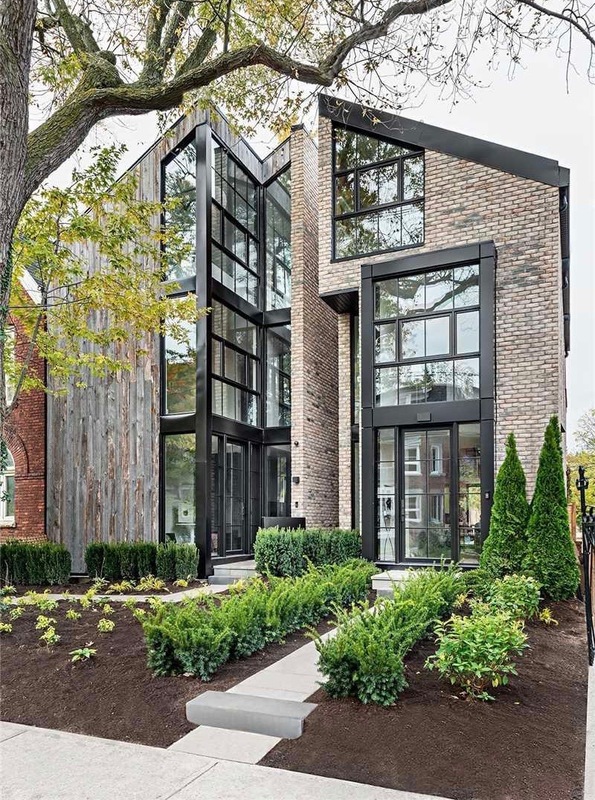 The house is just minutes away from High Park, and its sleek design makes it stand out among the Parkdale neighbourhood. Ancerl Studio prides itself in creating “unique design narratives.” The studio focuses on custom spaces that take into account the end user and their needs. And a commitment to quality is evident in 116 Sorauren Ave. The home has been called “The Urban Barn,” a fitting name for a home that mixes architectural and interior design styles. Around the house, different materials and textures are juxtaposed to create an ultra-modern aesthetic. Common elements of the traditional barn are subtly incorporated into the home. The outside is in the traditional barn triangular shape, and throughout the house, wood is used to remind of us the main inspiration. However, the modern elements reign within every room to redesign the traditional barn. Clean lines and symmetry give it a contemporary look, and the use of materials like metal and marble add an extra pinch of style. 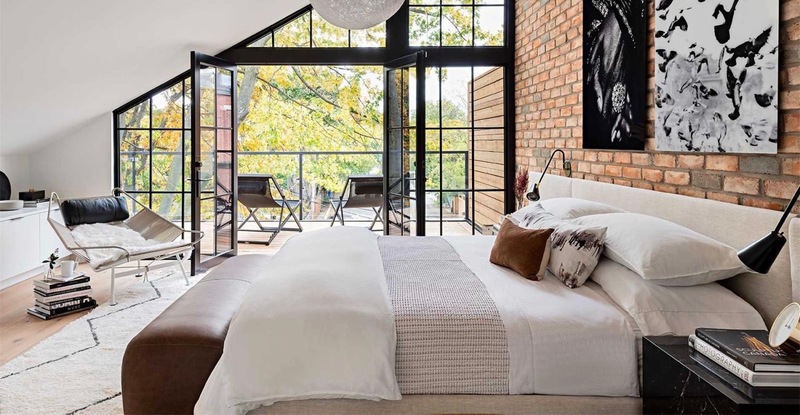 It even includes accent walls like exposed brick, bringing the “urban” into the house. Glass plays a big role in letting the abundant natural sunlight enter. With the open space and oversized windows, there is a sense of airiness around. Interior design is the final touch to create a stunning scene. It combines a neutral colour palette with simple and modern pieces of decor and furniture. Thanks to Ancerl’s design, a minimalistic style dominates. However, despite the minimalism, it retains the sense of coziness barns are known for. The outside of the home showcasing a twist in traditional barn architecture. The open concept living room leading to a private backyard. The kitchen with a 20 ft ceiling. The master bedroom with a private deck. 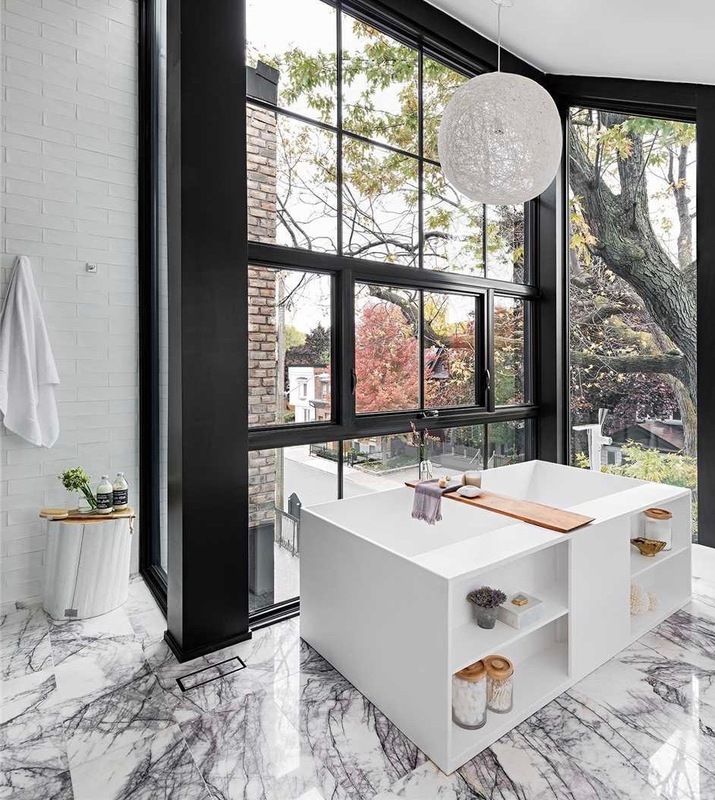 The washroom with white marble floors. This house is currently on the market. Save the listing and request a showing to see this home for yourself.